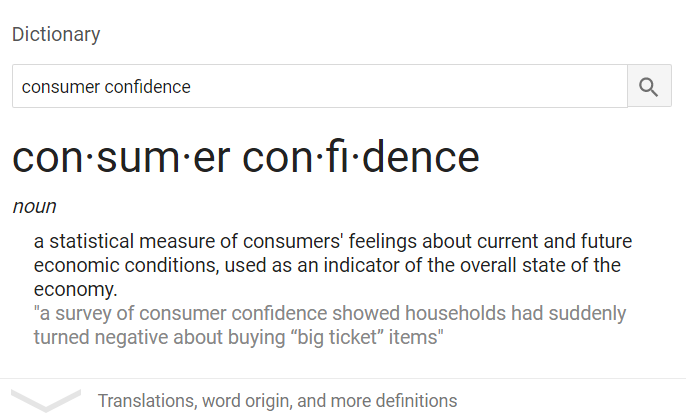 Consumer confidence index hits high since October 2000 from CNBC. Click on this link to review the PH Konsumer Konfidence article from 2015.
Business is booming, and konfidence is an emotion, meaning something that one feels, and emotions show to be @ the root of all human behavior and circumstances including but not limited to the love of shopping, along with the new global economy. Click on this link to review the PH Mall Building article from 2011. We’ve got work to do, along with excellent pay to earn for such said work! Super Focused On The Big Pretty New Global Economy Picture. PROPS – In A World Where Many People Are Seeking To Get Some, Who Will Be Left To Give Some?